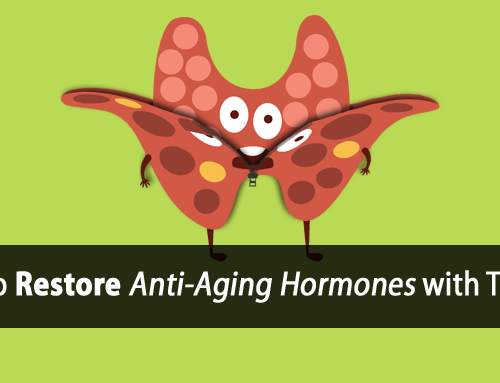 Iodine therapy has become quite popular as a “potential” solution for hypothyroidism today. Much of its popularity arises from its use in treating goiters centuries ago. But today, could it be causing more harm than good? It is well known that the thyroid gland requires iodine to produce thyroid hormone. But few people understand the potential dangers of iodine therapy and excessive iodine consumption. Today, iodine deficiency is extremely rare even though it is still being touted as a major cause of hypothyroidism. Because of the misleading idea of iodine deficiency, the market has become flooded with iodine supplements that claim to cure hypothyroidism, which in actuality pose a greater threat to your thyroid and health than you realize. The FDA recommends 150 mcg (micrograms) of iodine daily for healthy thyroid function. This accounts for iodine in your food, as well as any additional supplementation. As early as the 1970’s it was determined that people in the US were getting 10 times more iodine than they needed which grossly exceeds the recommended allowance. With so much focus on iodine’s historical role in the treatment of goiters as well as the more recent discovery of its role in the production of thyroid hormone, very little, if any, attention has been placed on the dangers associated with iodine toxicity. Because of this, most people are completely unaware that excess iodine is also a common cause of goiters, hypothyroidism, and thyroiditis today. The use of iodine therapy for goiters had actually been documented for thousands of years prior to the discovery of the thyroid gland. One of the first documented cases of goiter treatment goes as far back as 1600 B.C. (more than 3600 years ago) by the ancient Chinese. At that time, what they only understood as a swollen neck was treated with the use of burnt sponge, which reduced the swelling. The fact that burnt sponge was used as a treatment for goiter continually throughout history from 1600 B.C. through the 1800’s is a testament to its effectiveness. However, the mechanism by which burnt sponge acted was entirely unknown throughout this entire period. It wasn’t until 1820 that Dr. Jean François Condet discovered that iodine was the active ingredient in the burnt sponge remedy. It was at this time that iodine therapy first became popular. However, in 1820 as the use of supplemental iodine began, Condet also discovered the issue of iodine toxicity and attempted to warn people of the dangers. History Repeats Itself – When Will We Learn From Our Mistakes? 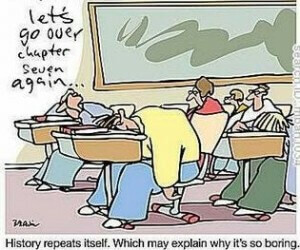 When I was young kid in school, I once questioned my history teacher as to the importance of studying history. His answer, which suited me at the time, was that studying history was important so that we don’t make the same mistakes over again. I suppose there is truth to this in theory but unfortunately, this is rarely the case in reality. With Condet’s discovery in 1820, the iodine “fad” began. Iodine became readily available in supplemental form and its popularity rose dramatically. People even wore small containers of iodine around their necks so that it was conveniently available when they wanted it. But the fad didn’t last because iodine quickly gained negative publicity from its over-use and the increased incidence of iodine toxicity. In 1896 Eugen Baumann discovered that the thyroid gland was rich in iodine. Shortly after this discovery, in 1910, iodine supplementation was back on the map as a very popular treatment for thyroid disorders. 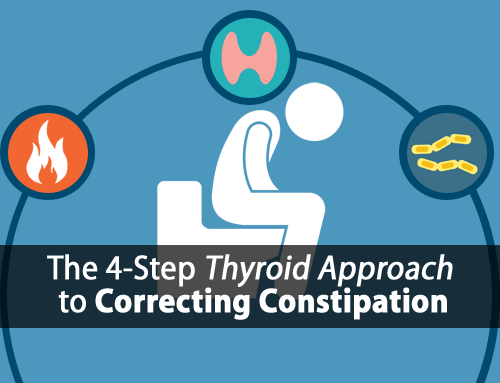 It wasn’t until the major advancements in science in the 1940’s that scientists began to recognize that there were other factors involved in the process of hypothyroidism that iodine supplementation did not solve. If iodine therapy was the end-all solution then it would be safe to say that the occurrence of hypothyroidism would have drastically decreased during this time. The incidence of goiter may have decreased but this was also largely due to the development of modern industrialized farming practices and the introduction of iodine into the food supply. However, the incidence of hypothyroidism was still quite prevalent. As industrialized farming practices were improved, the majority of food was being grown in iodine rich soil and people began to consume more than enough iodine from the foods they ate. 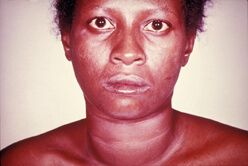 At this point in time, it was understood that iodine deficiency alone, was not the cause of hypothyroidism or goiters. As mentioned above, in the 1970’s it was found that people were getting as much as 10 times more iodine than they needed. Scientists then began focusing on other causes such as anti-thyroid foods as well as other very interesting concepts. One such theory was that the common day demands on the body had increased which in turn, increased the body’s need for MORE thyroid hormone. As a side note: This is an important subject that will be covered in more detail in the future. We’ve already established that the recommended daily allowance of iodine is 150 micrograms. Most of the popular iodine supplements today are recommending the use of 12.5 milligrams or more. That’s 83 times the recommended daily allowance. Many proponents of iodine therapy recommend as much as 50 milligrams to 100 milligrams of iodine daily which is 350 to 650 times the recommend daily allowance. This is a sure way to develop iodine toxicity, which is known to be quite dangerous to your thyroid! There is quite a bit of research showing that excessive iodine greatly increases your risk of developing autoimmune thyroiditis. Considering the prevalence of thyroiditis today, this is a topic that deserves far more attention than it currently gets. Excessive iodine was once used to treat hyperthyroidism because of iodine’s ability to suppress thyroid function. However, in hypothyroid people or people with normal thyroid function, it has the same effect and can lower thyroid function far below normal. For many, this is a temporary effect that subsides after the source of excessive iodine is removed. However, there are many cases of iodine-induced hypothyroidism that continue long term. While many people are led to believe that iodine is the only way to treat hypothyroidism and goiters, most are unaware that excessive iodine can actually have the opposite effect and cause hypothyroidism as well as the formation of goiters. 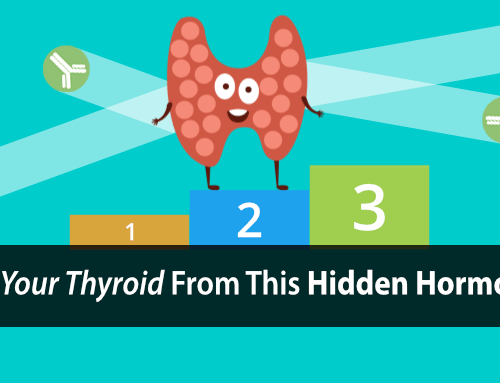 Excessive iodine can cause thyroid cells to divide and grow in number. This causes an overall enlargement of the gland itself. 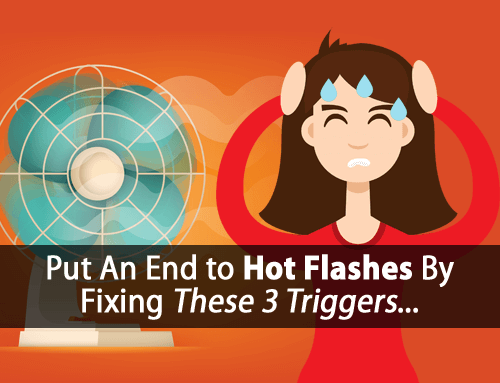 But, when this occurs your cells lose the ability to make thyroid hormone. Excessive iodine can cause Iodide Myxedema. This is where there’s an accumulation of connective tissue as well as an increase in edema around the neck and thyroid. This is most commonly seen in those who suffer from Hashimoto’s Thyroiditis.Iodide Myxedema is also common in areas of Japan where seaweed soup is commonly consumed which can contain 80 to 200 mg of iodide. As you can see, there are some very serious dangers associated with the use of iodine therapy for hypothyroidism. The bottom line is that today, we are posed with a far greater risk of developing iodine toxicity than we are of an iodine deficiency. And instead of falling for the latest and greatest “fad” thyroid supplement, it’s important to understand what you are putting in your body and the potential negative effects it can have on your thyroid and your health. The huge error you make in this article is that you do not distinguish between organic IodiNe and INorganic IodiDe. The Japanese eat 100’s of times the amount of IodiNe than we do and they are the thyroid-healthiest people on earth. They do not eat INorganic IodiDe, which is what damages the thyroid tissuee and causes Hashimoto’s Thyroiditis. Medicine unfortunately developed oral Potassium iodiDe supplements from the topical iodide that they used as an anti-infective in the past 2 centuries – NOT smart!! I believe my paper on Hypothyroidism is the best one in the world: ‘Best Kept Secret’ on the Weston A Price Foundation website,June 2009. I took Iodoral for many years, it really saved me from sleeping 14 hours a day. One a day, two if I had a long day. But I went on a couple trips far away and when I came back I was really sick – this happened several times over 2 years. Then I realized the symptoms of runny nose and water eyes started a few minutes after taking my iodine. I cut back and symptoms have never reappeard a year later. I still take it, but half a pill and not every day. Moderation is the key, I think. So, taking 250 mcg of Kelp for Hashi’s is a bad thing? It seems prudent to me to test each individual to see what their iodine status is before proceeding with either supplementation or restriction. Case in point is the popularity and prevalence of Vit. D and Vit. B12 testing done these days by conventional doctors, with recommendations made accordingly. Clearly, there is a range of iodine levels that provides for best functioning of this all-important gland. At some point, we’ll realize that a true balance of all nutrients is important for optimum health. Too much or too little of any of them can cause problems. Bonnie, getting adequate iodine is easily done through a proper diet. The problem is supplementation and prophylactic iodine. Unfortunately there’s not a great way to test for iodine levels. It’s not quite as easy as other tests like Vitamin D and B12. The best option is to do a 24 hour urine test. Tom I have a question for you 24 years ago I was diagnosed with Graves Disease it was treated with radio active iodine killing my thyroid so now i am taking 200mcg levothyroxine i’m now 52 yrs old pre menopause and struggle with my weight all of the time it has gone as far as being on a strict 1200 calorie diet and taking adipex and still can not lose weight or should i say keep it off I am at a loss and feel like I’m at a dead end could you please help me. Following a 1200 calorie diet will only cause more thyroid and metabolic issues. Even if you lost a pound, you would likely gain more back. Weight loss is a very sensitive is misunderstood topic. Most recommendations out there are quite dangerous in the long run unfortunately. I am brand new to this page. I’m searching and searching for my own answers and losing faith in my doctors. I have always felt I struggled with a sluggish or low thyroid. No blood test proved that I did. I started on Sea Kelp to, what I thought, nourish my thyroid. I do feel like it helped somewhat. I ran out this fall for a few months. I started back on Kelp (225 mcg) in November. My original Sea Kelp was no longer available but I thought this would do the same. A week before Christmas I developed a goiter. I thought it was because I had been off the iodine for a couple months. Now after reading this, I’m afraid it could have been the cause. For the first time ever, my blood work shows I’m slightly hypothyroid. If I stop the iodine and start the meal plan I purchased from you, will this return to normal? You mention the 24 hr. Urine test for iodine levels testing. Which lab and which test is this? Thanks so much! Hi Maria, it’s not a test we run ourselves, so I don’t have a lab I could recommend. Too late :(. I am one of those people who shouldn’t have used opiodine for the skin patch test. Did it multiple times and became severely depressed, quit eating, lost weight, was bed ridden until I figured out it was the iodine. Dr doesn’t believe me, but am doing better now taking t3. Do you have any suggestions for those that do react badly to iodine. How should it be treated if you have used iodine and became ill. Going to print this article to show her. Is it safe for me to do the iodine load test? thank you so much for addressing this issue, I wish to God I had read it sooner. Last year I fell for this phony fad and purchased 12.5 mg potassium iodide offline. They advertised that it would help keep thyroid healthy. After just 3 days of taking it I suffered greatly, I even developed a goiter. I ordered online blood test for thyroid antibodies(my doctor refused test them, said it was unnecessary)..My TPO increased to 510!! My TSH was 38!! Today I’m still on thyroid supplements, before the pill I was not on supplementation and my levels were in normal range. I’m slowly applying your teachings and hopefully will be able to one day wean myself back off the meds as I had done before with diet and exercise.